Android 4.2 Jelly Bean goes Official: Whats it all about?? 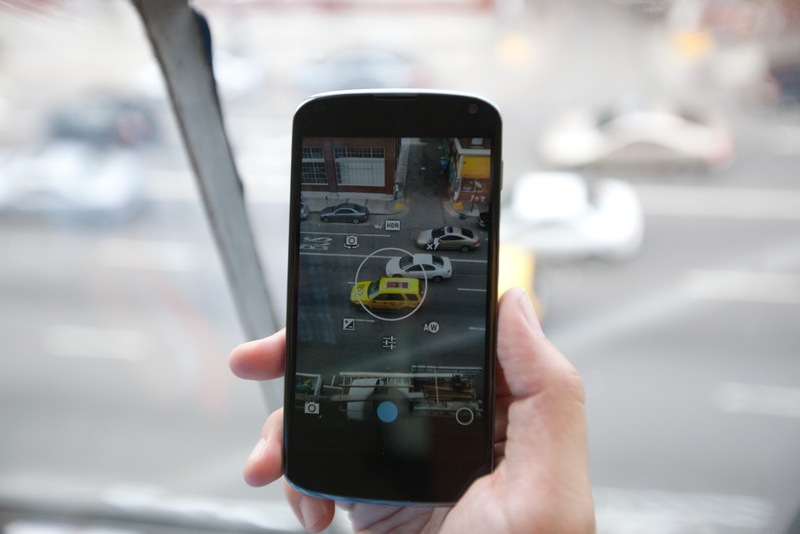 At the Google event which took place on 29th of this month, Google officially unveiled the Nexus 4 and Nexus 10 and most importantly, the ANDROID 4.2 JELLY BEAN VERSION. It has got several new features like the OS Gesture Typing, Photo Sphere, 360 degree panorama camera mode, multiple user accounts and so on. Let us take a look over all those new features one by one, what are they all about.. The multiple user accounts has been enabled for the tablets running on the Android 4.2 Jelly Bean Update OS, that is, suppose everyone in your family can have a different private account on the same tablet and can log into their own accounts and can also have different apps, widgets and even gaming scores of their own. It's a panorama mode on steroids and allows you to capture photos in multiple directions (up, down, left, right). After they've been captured and saved as JPEG files you can view them and navigate around the whole image. You can share the image on Google+. The photos pack embedded XML metadata in them allowing you to easily share them on Google+ and put them in Google+ photo albums, where your friends can view them as well. It works in a manner very similar to Swype -- you just Swipe your finger over the letters you want to type, lifting after each word is complete. Naturally, the Gesture Typing feature benefits from the already existing Android word prediction, so you can just click on the words the keyboard suggests. This version of Android allows you to wirelessly share the screen of your phone or display with a big screen TV set. Connect a wireless display adapter to an HDMI-enabled TV and then it'll start mirroring whats on your screen using DLNA. The new feature uses the Miracast protocol for streaming. Now, you can see different widgets on the LOCK SCREEN also. You can now use pinch-to-zoom in Gmail for enhancing reading, triple-tap to magnify the entire homescreen and the pan and zoom with two fingers, as well as added speech output and gesture mode navigation for the visually impaired users. Also, the settings option has been included in the notifications drawer. The all new Android 4.2 Jelly Bean has proved to be quite impressive. It seems that it would change the entire experience of using a mobile phone. Android 4.2 Jelly Bean is expected to start rolling out once the new Nexus family of devices goes on sale on November 13. 0 Respones to "Android 4.2 Jelly Bean goes Official: Whats it all about??"